This Arrowbolt 20 was built at the time when Fletchers were at their peak. She is remarkably great shape and at first glance it would be hard to tell she is a '94 model. She has enjoyed what is clearly loving ownership over the intervening years and she presents very well. She had a new engine installed in 2012 (with documentation) and has recently been sea trialled with no issues to report. The cuddy cabin is small by most measures, but the design brief for this model was to sleek with nice low lines, in turn that does not leave much space below the foredeck, but it is a useful storage area or a great space for kids to sit in on a chilly evening on the way home. originally she would have had the swirly graphics which have been removed sometime in the past. 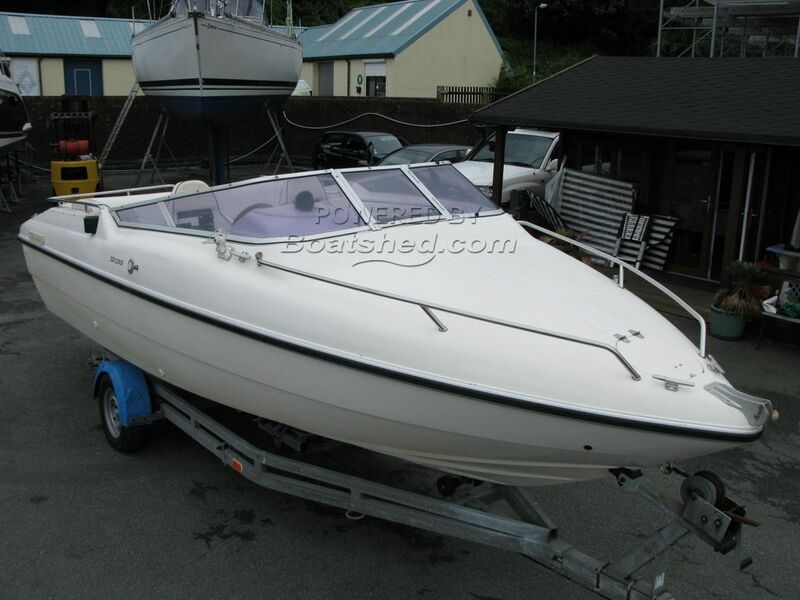 This Fletcher Arrowbolt 20 GTS has been personally photographed and viewed by Mike of Boatshed Wales. Click here for contact details.